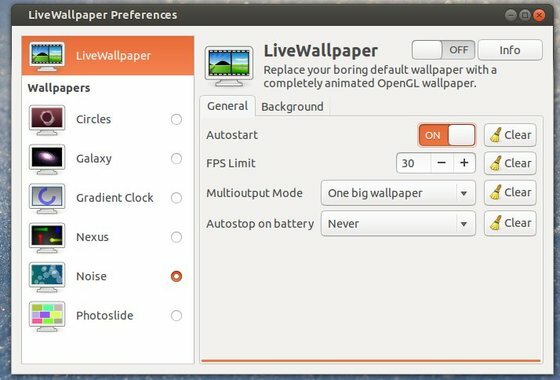 There’s a simple tool to replace your boring default wallpaper with a completely animated OpenGL wallpaper. 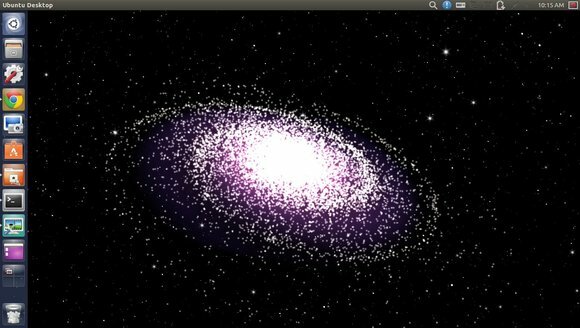 It’s Android style live wallpaper on Ubuntu Desktop. It only contains a few wallpapers so far. While it’s under developing, it continues adding new wallpapers. There’s a ppa repository that contains stable packages for Ubuntu 13.04 Raring, 12.10 Quantal, 12.04 Precise and Linux Mint 15, 14, 13. Once installed, open Livewallpaper Config from Unity Dash. As a user without any programming ability (I’m slightly dyslexic) and do not like looking at dead screens even with pictures and especially cluttered with icons, I was wondering if it was possible to set up the desktop whereby you can use a short video such as from Utube. The closest there seems to be is an old set of photos of Moscow and of Mars taken by Odessy, these however were created using pages of code, too much creativity and hair pulling for us mere mortals, surely in this day of Enlightenment there would be an easier way, Microsoft could do it. PS. I detest Microsoft and only use it cause there is nothing in some of linux programs that are as good and easy to use.